Tired of intruders breaking into your home? We board up properties that need to be secured from intruders breaking in. 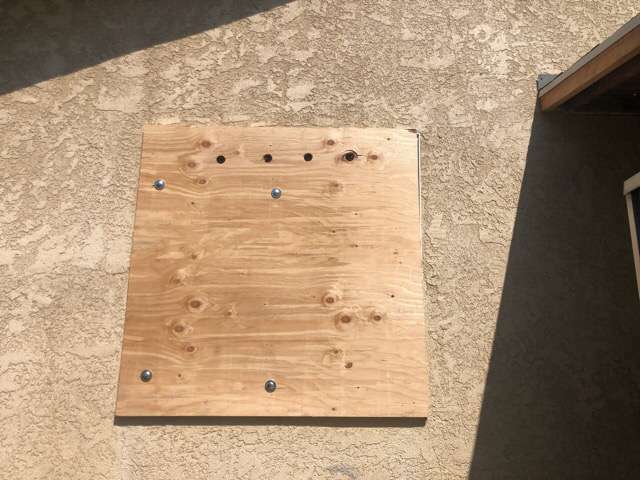 Board up your home so there are no more intruders. 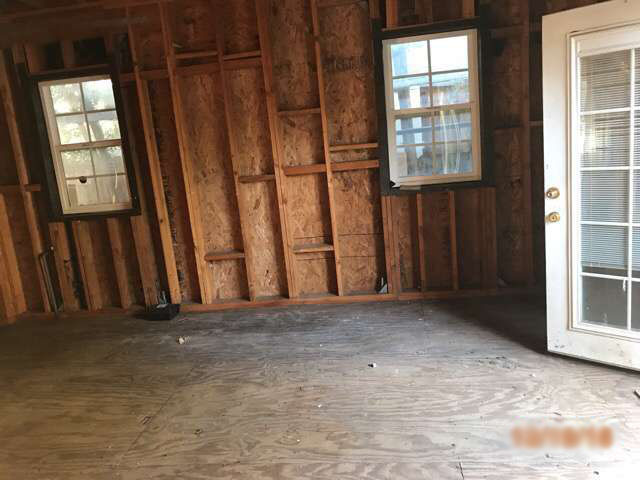 Abandoned homes need to be secured from any intruders such as transients, old tenants, or plain squatters. We want to make sure there are no more break-ins in the home. Our team has the right plywood and equipment to maintain the doors and windows shut. No more broken windows, no more broken doors, or door screens. We want to secure all of the windows, including high windows in the property. 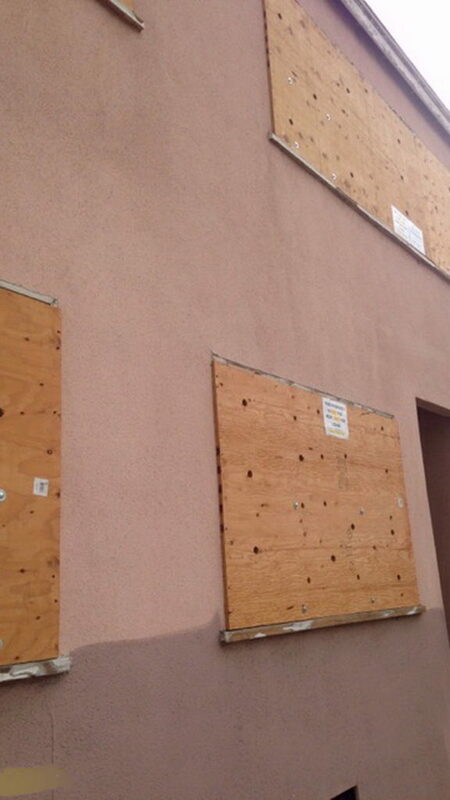 We have been able to board up both residential and commercial properties. 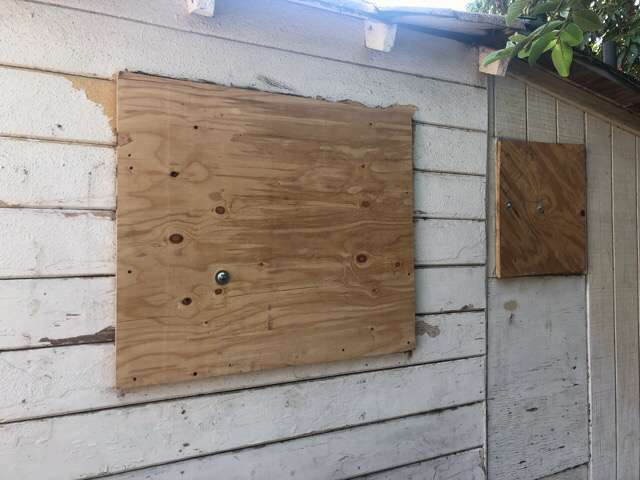 Board up is one of the many securing services we provide in Los Angeles Property Preservation. Our team is able to secure your property by boarding, fencing, and making sure tenants don’t break in. For more information on boarding or fencing up your property please click here. 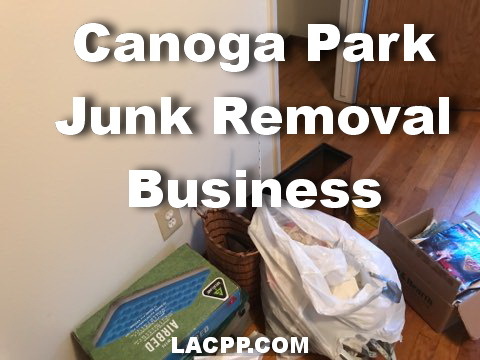 Los Angeles Property Preservation has been in the trash out business for over 2 decades. 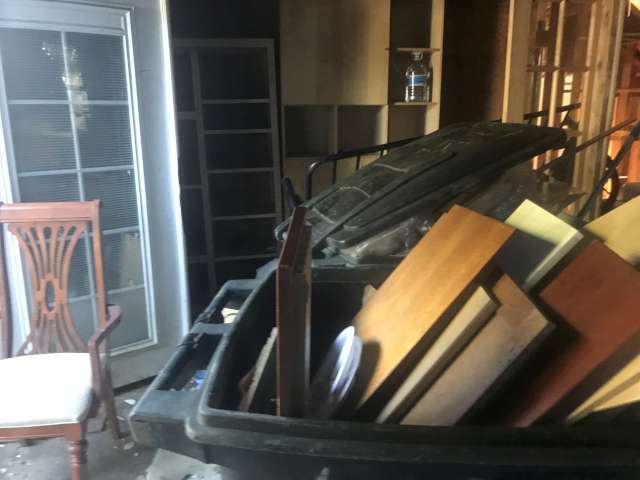 They have been around to clean out trashed homes in all Los Angeles and neighboring cities of Los Angeles. They have been able to work on trash outs such as bank owned homes, abandoned homes, foreclosed homes, and hoarder homes. 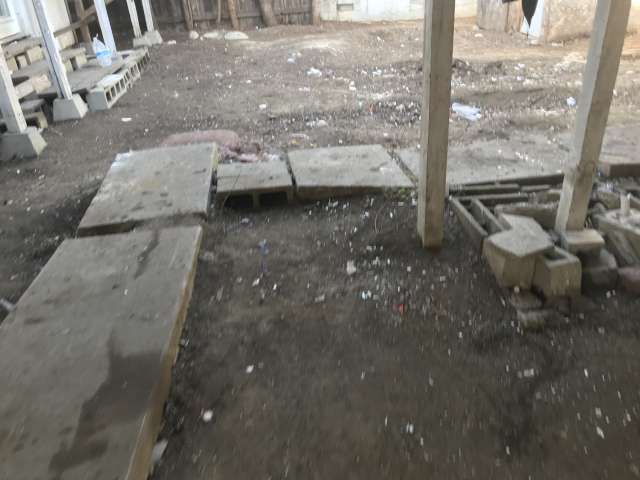 These type of projects require lots of manpower and equipment that is needed to completely clean out the property. Westwood has residential homes but it also has commercial properties that are in serious need of a good clean out job. 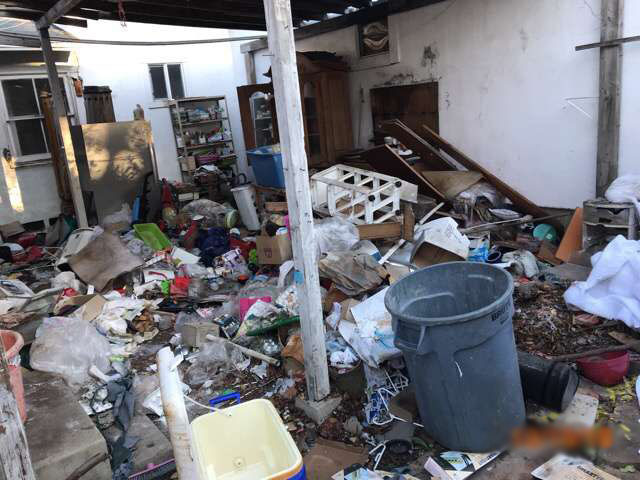 Los Angeles Property Preservation has been able to help out many clients with their trash out needs. 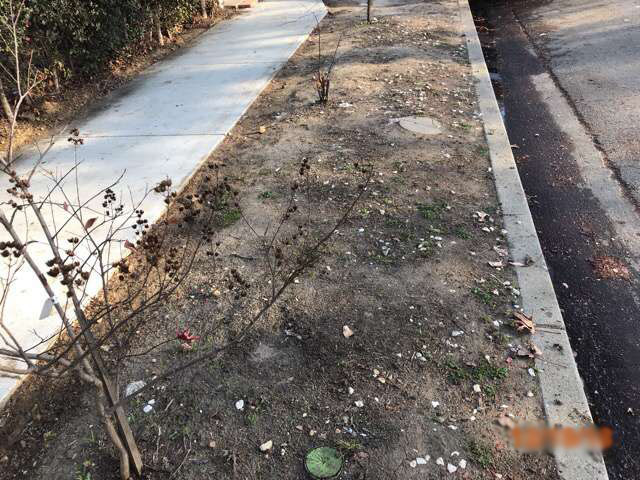 For more information on getting the Westwood property trash out please click here. 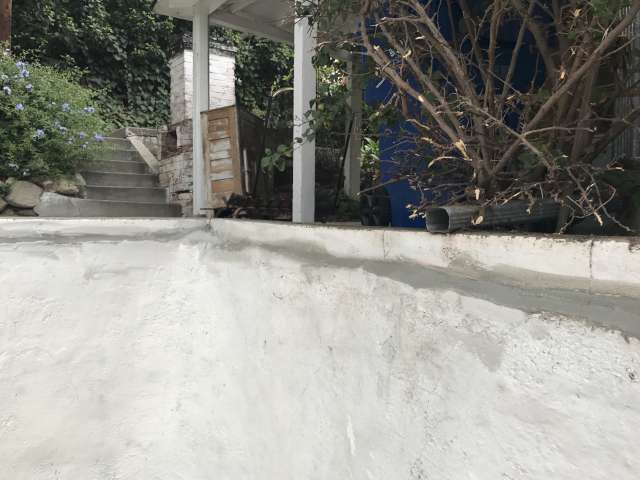 Our team at Los Angeles Property Preservation repairs pools in Tarzana. We have been in the Real Estate business for over 30 years, so we understand how escrows work. We know that if the pool is not filled up with water the escrow will not close. Part of the lender requirements is to have water inside the pool. 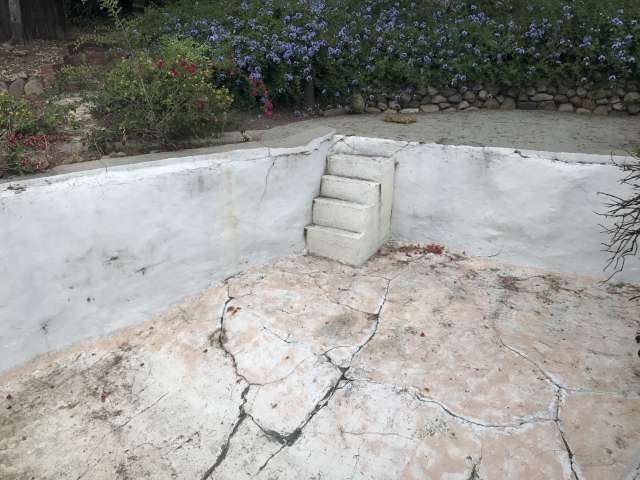 This property we recently worked in Tarzana had a real issue with the pool. The pool needed serious repair work to get it back running. No pool company wanted to touch the pool. 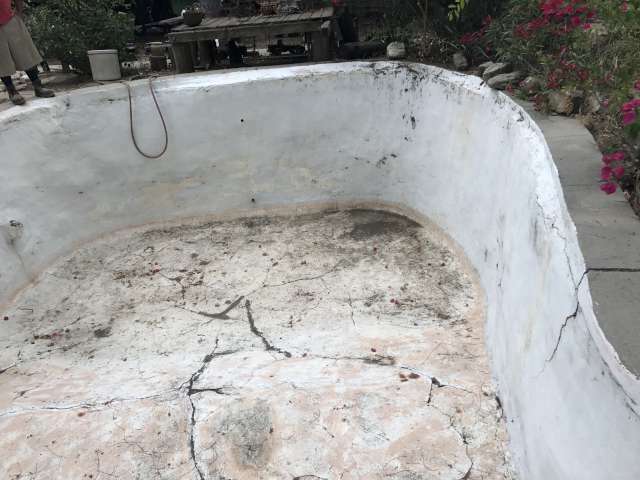 No pool repair company wanted to patch up the pool, because in their minds they didn’t want to deal with it. Not our team. 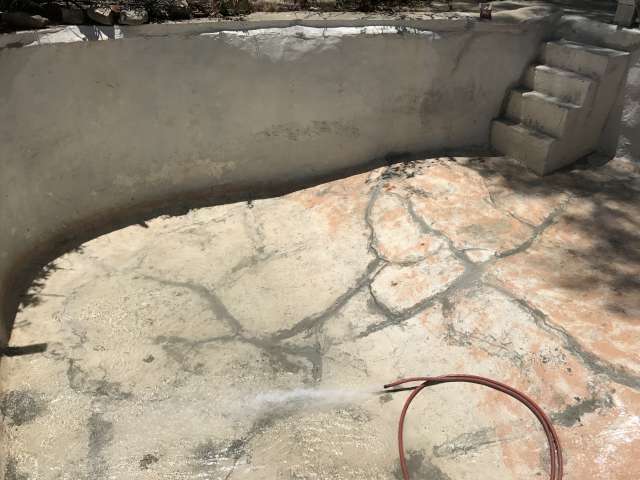 Our team was able to patch the pool with fast-drying cement that covered up any type of cracks. 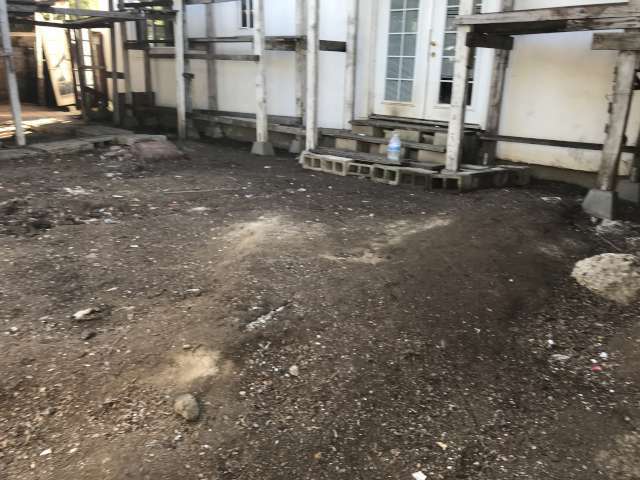 The appraiser was able to inspect the home and was able to verify that the pool was filled up with water. The escrow was able to be closed out and the house was able to be sold. This situation created a WIN-WIN for both the lender and our team of experts. 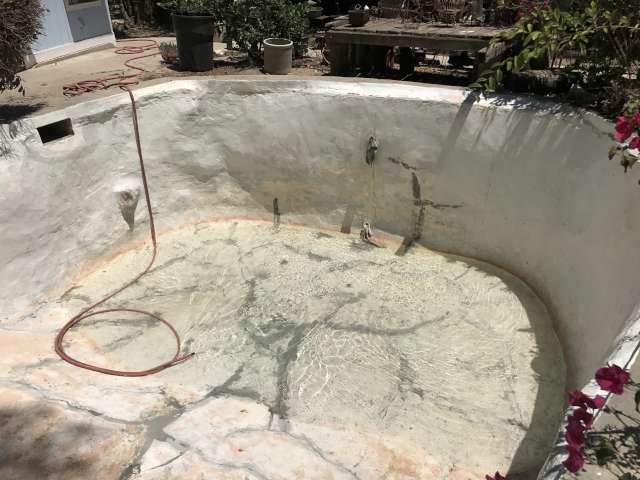 For more information on getting your pool repaired in Tarzana please click here. Have a foreclosed home that needs repairs? Foreclosed homes are one of the most neglected homes out there. 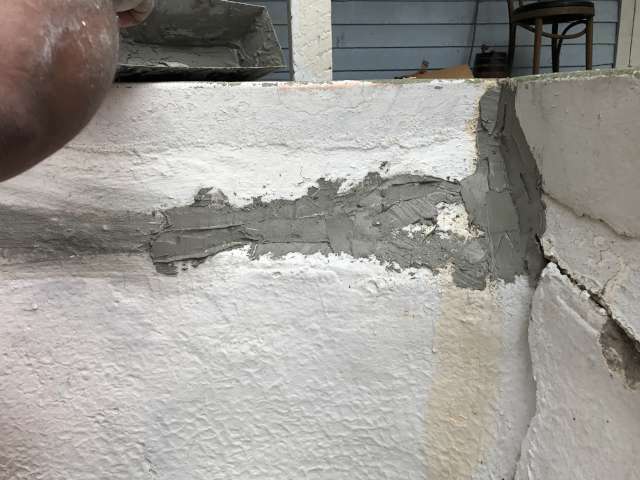 Previous tenants might have not kept up with the house repairs, and the house might have been left messed up. 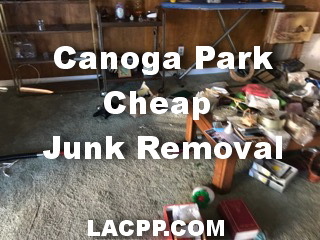 Homes in Canoga Park are supposed to be up to par with the home inspections, therefore, it is best to get it taken care of. 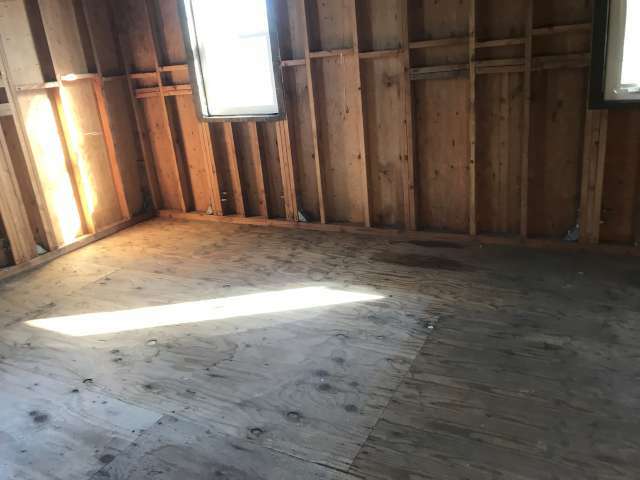 The last thing you want is to find out there was mold growing due to a faulty leak. 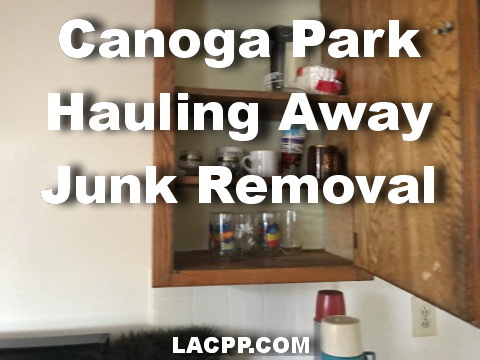 Plumbing in Canoga Park- If there is a leak, we have a problem. 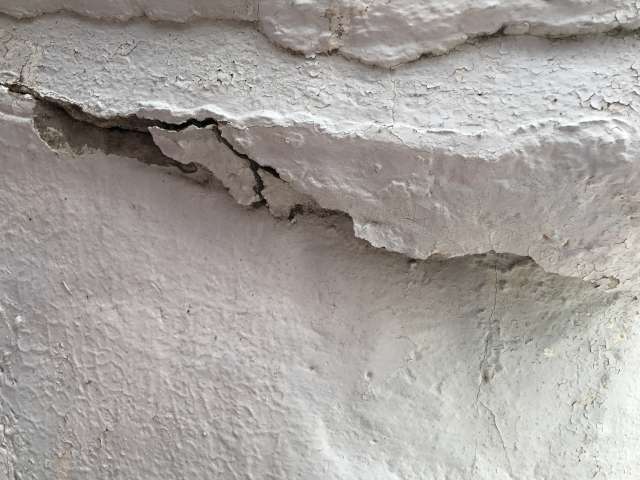 Leaks can turn into mold, and if not properly taken care of the damages can be extensive. Dont allow that leaky pipe create mold, and start repairing your pipes today. 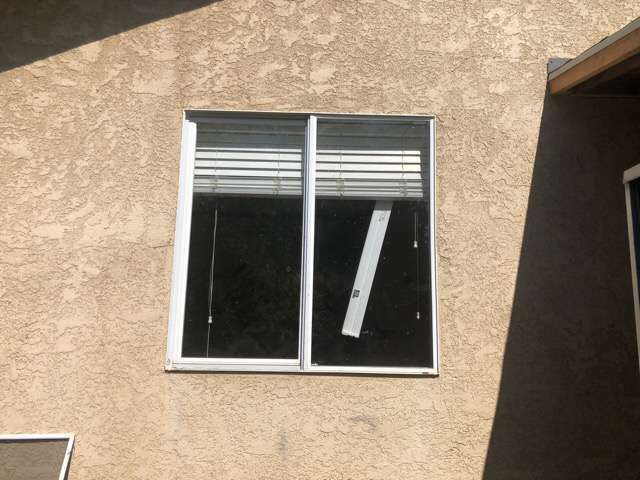 Window Repair In Canoga Park-Do you have broken windows in your property? Don’t avoid them anymore, allow our team to repair any broken glass or locks that may have been tampered with. 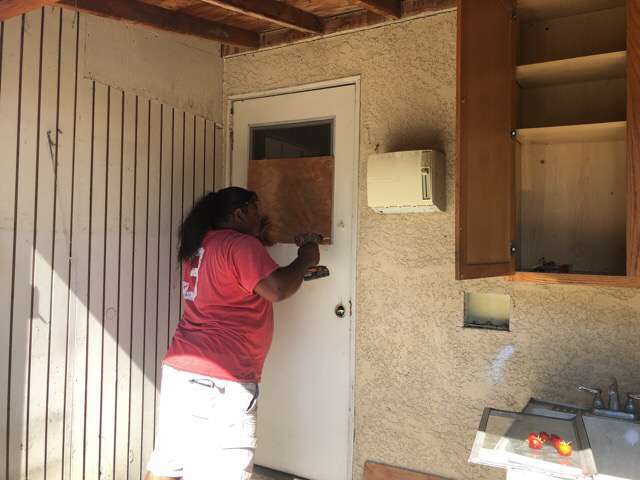 Canoga Park Door Repair- Doors are the security of the home, without your doors, anyone can just come in the house. Our team is properly equipped with the right tools to switch out a door or fix any locks that need to be fixed. Interior and Exterior Painting in Canoga Park-Apply a fresh coat of paint that will make your house stand out from the rest. Keep the interior looking sharp with a fresh coat of paint. Floor Repair in Canoga Park- Repair any damages that may have been done to the floor. Our team is able to repair any damages that could have potentially messed up our sale. 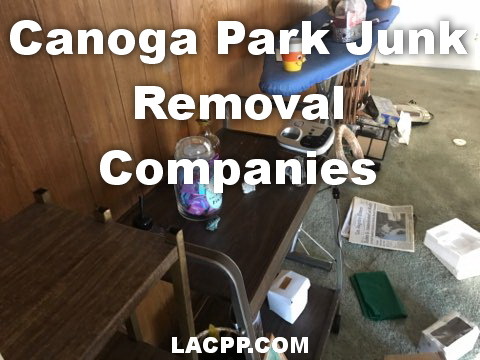 Carpet Installment Canoga Park- Get rid of the old shaggy carpet previous tenants used to have and install a brand new one. Our team has had over 2 decades of experience when it comes to installing carpet. We have been in business for over a decade and we know how foreclosed homes can get. There are far too many foreclosed homes that need a good fix up. Do you think your home needs pool repairs? We can help repair your pool too. We have the right tools and equipment to fully clean out the pool and repair that is needed. 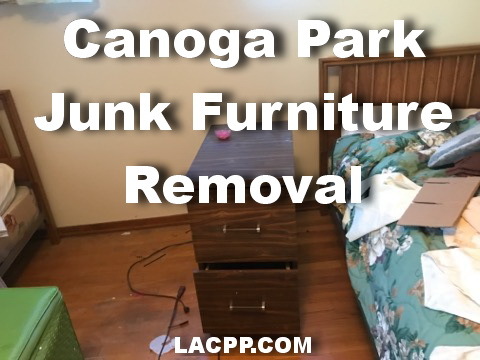 For more information on Canoga park repair services please click here. 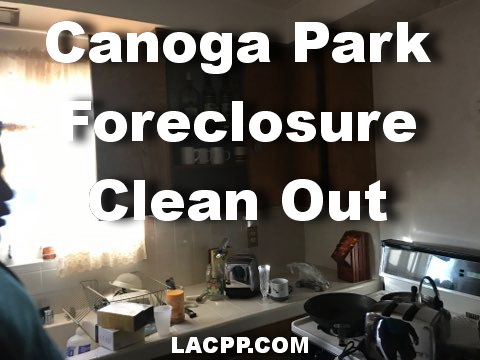 Canoga Park has many foreclosed homes that need urgent REO services. There are far too many homes that are out of the housing market due to minor repairs, trash in the home, and fully furnished homes. There are far too many foreclosed homes with dirty pools and yards that have not had maintenance in years. 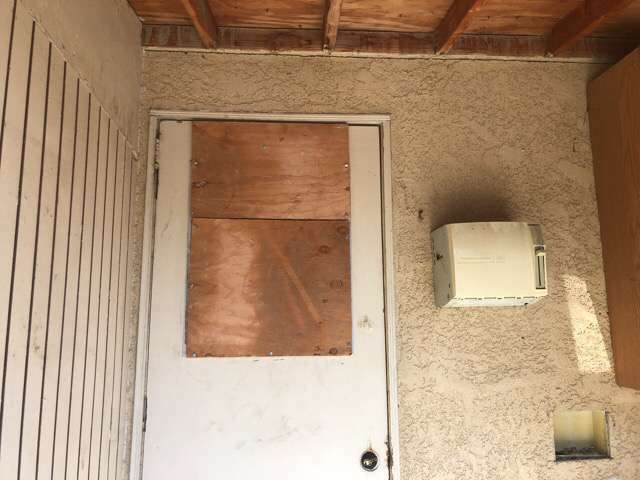 We understand how frustrating it can get for brokers in Canoga Park to see the home in bad conditions. 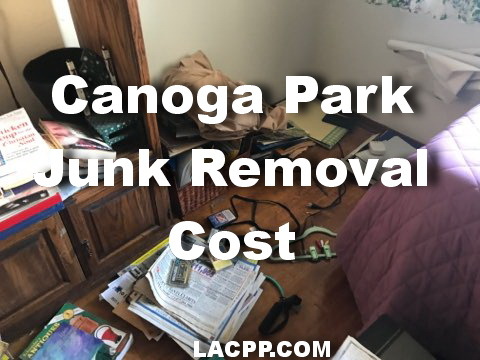 Our team is able to remove all of your unwanted junk out of the foreclosed home in Canoga property. We also do yard maintenance and pool clean up. We understand that yard work and pool clean up is not for everybody, therefore we are here to help. We have the right tools to remove any type of yard debris you may have. 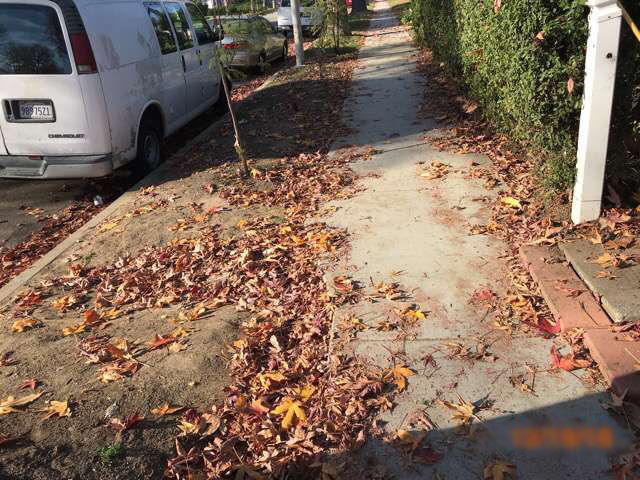 We can remove branches and leaves off the yard. Our team can also trim up the grass in your front and backyard. If you are looking for a team to clean up your dirty pool, we are your go-to team. We have the proper chemicals to remove any and all of the gunk in the pool. 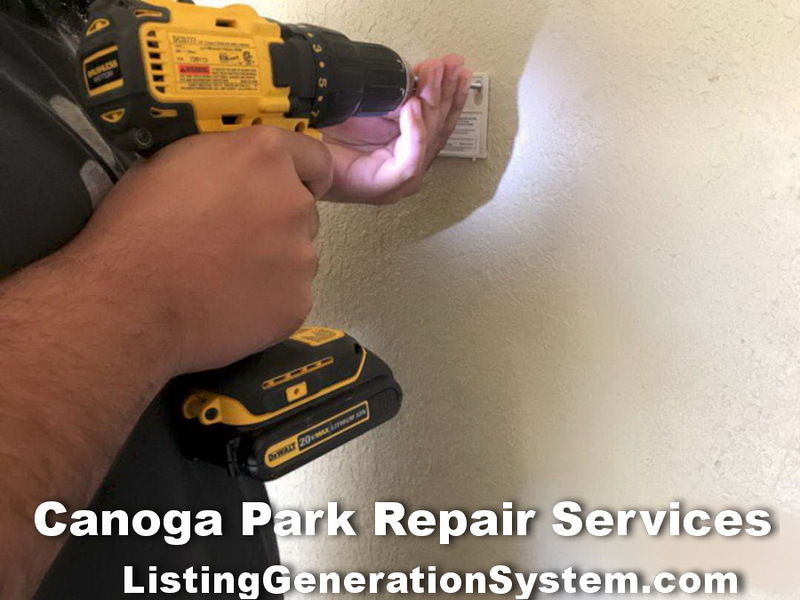 We also have the right tools and equipment to repair your home if there is a need. 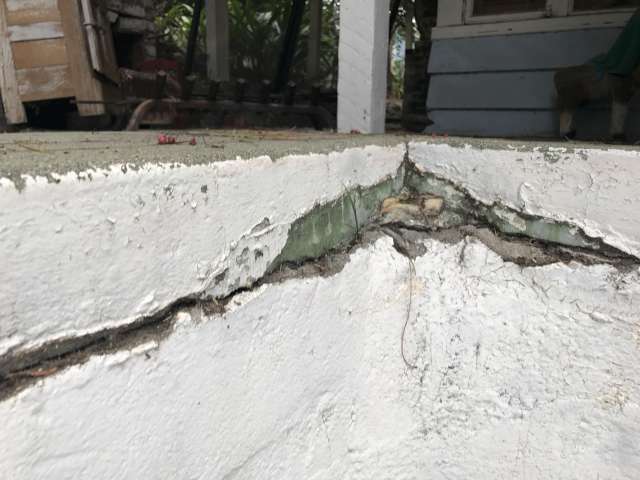 Does your Canoga Park home need roof repairs? Does your Canoga Park home need plumbing? 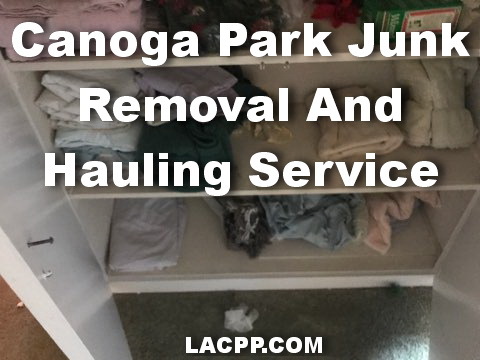 Does your Canoga Park home need carpet removal? Does your Canoga Park home need interior and exterior paint? 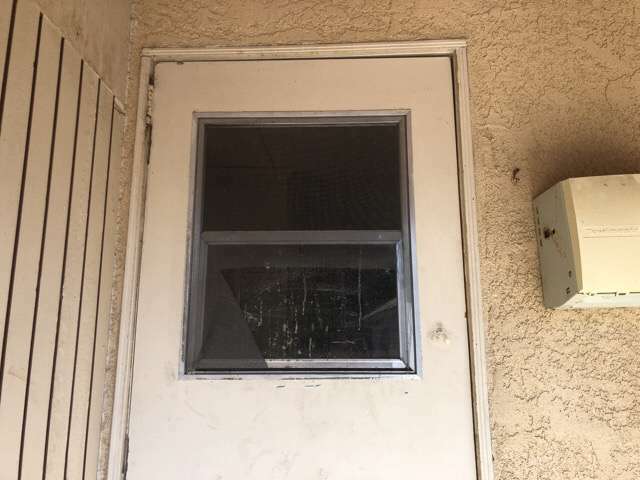 Does your Canoga Park home need window repairs and door repairs? Our team can work on all of your general repairs, even if it is just a minor repair. We have the right tools and equipment to fix any repairs you may need work on. Don’t hesitate and give us a call for our low prices. There is nothing better than providing affordable service that is urgently needed. 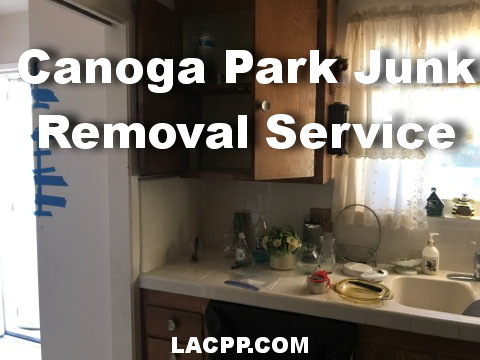 For your Canoga Park REO Services please call us today. Tired of old tenants breaking into the foreclosed home? Don’t allow a house to get run over by old tenants that just won’t leave the property. 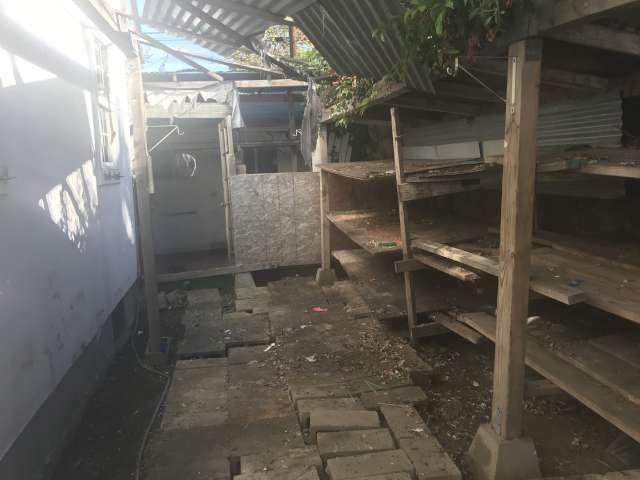 We make sure that all of the squatters get removed from the property completely. We typically don’t get involved with tenants, but we sure do involve law enforcement to properly remove the tenants. We have encountered many evictions where there are 20 people deep in the house. That is not including all of the pets they had and all the junk they had laid out in the back. We make sure we properly secure your property by boarding it up or fencing it up. Sometimes just fencing up the place doesn’t help to keep squatters away. They might just hop over the fence and break in through a window. 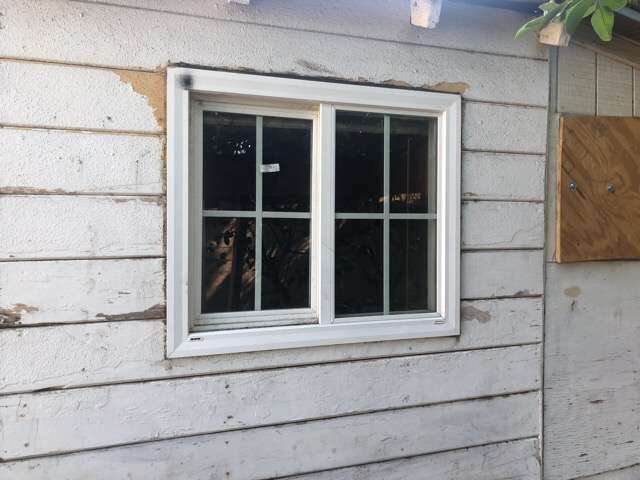 Broken windows are the easiest trick in the book when it comes to breaking in. Let’s not give them the chance to break in and start boarding up those windows. 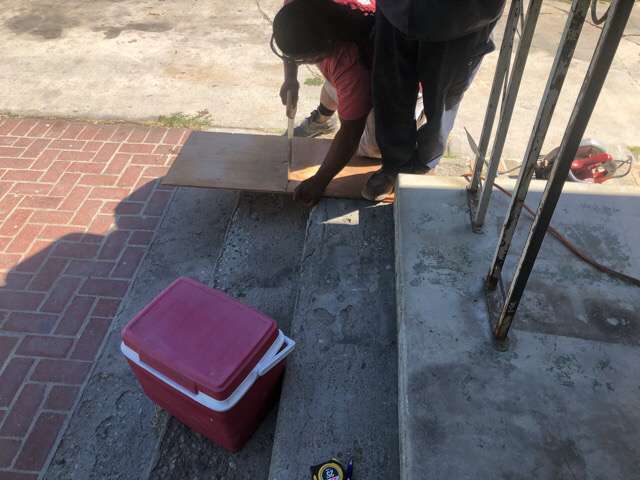 We board up the windows with the right plywood and tools to keep it up. 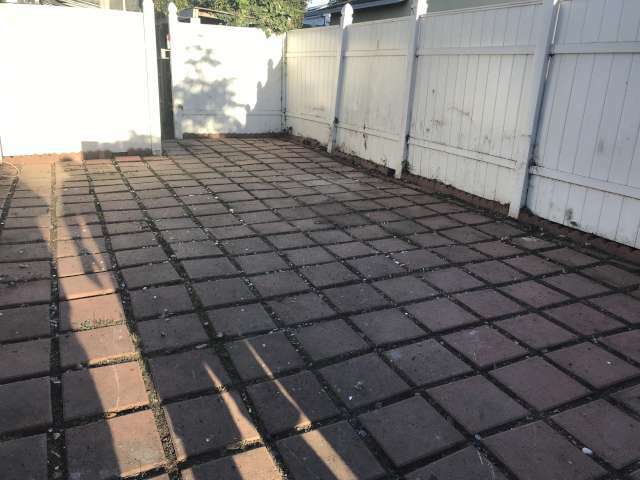 We are able to fence up the foreclosed homes in Canoga Park with no hesitation. There are too many people that trespass and stay in the area, which diminishes the value of the property and the properties around. Don’t allow the property to get worse by the day and start fencing up the property today. For your free consultation on securing your foreclosed homes please click here for full details. Remove your junk today, and make space in your home. 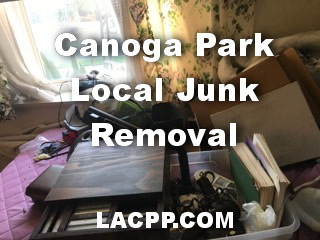 Allow us to remove all of your unwanted junk in your Canoga Park property. Loads of cheap junk In One Area? Don’t leave your house for another day, and make the changes today. Our team is able to remove all of your cheap junk for an affordable price. Our prices are according to the amount of cheap junk there maybe. It can be that you have a small load and there can big loads, whatever the case maybe we will remove for you. Construction zones need the most work. We have been hired by many contractors that need constant debris removal. 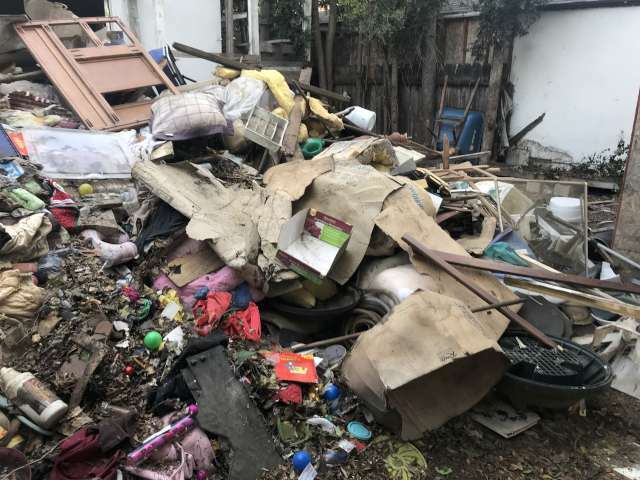 We often hired by the same contractors because we are known for our affordable junk removal prices. Our team is constantly removing construction debris out of work zones that are going through major modification. It is always in their best interest to keep the prices low but also get the work done. Whether it is a big project or small project our team can help. We work on foreclosed homes that need the care. We are able to remove fully furnished homes that have been left abandoned or foreclosed. Bank owned homes are nothing new to us. We have cleaned out many homes that were left abandoned from previous owners. 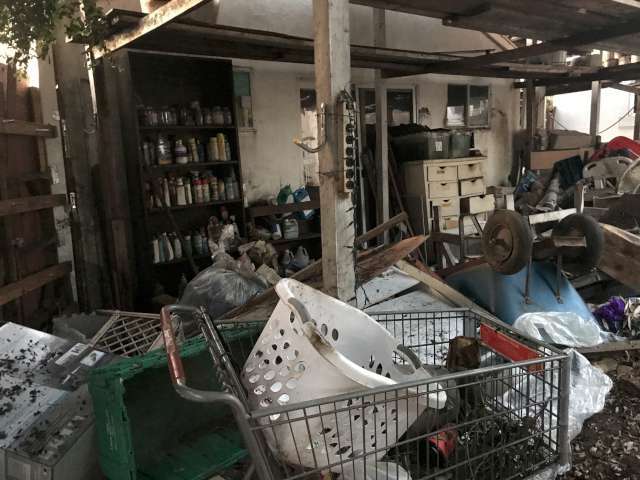 You won’t believe how much cheap junk has been pulled out of these homes. We want to make sure you don’t ever have to worry about the cheap junk anymore. 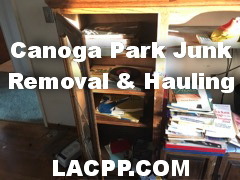 We make sure to always provide affordable prices on all of our junk removal services. 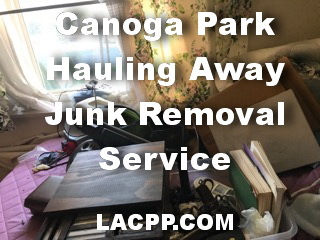 For more information for prices and removing your cheap junk please click here. 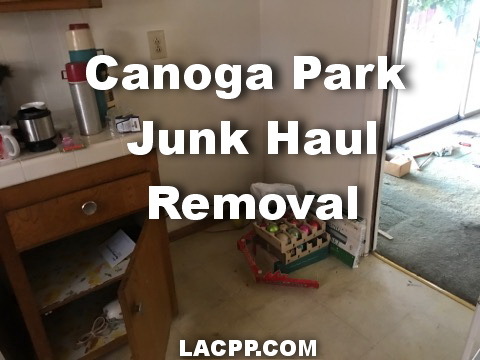 Remove junk from your Canoga Park property. No more junk in your home, no more old furniture, nor trash. 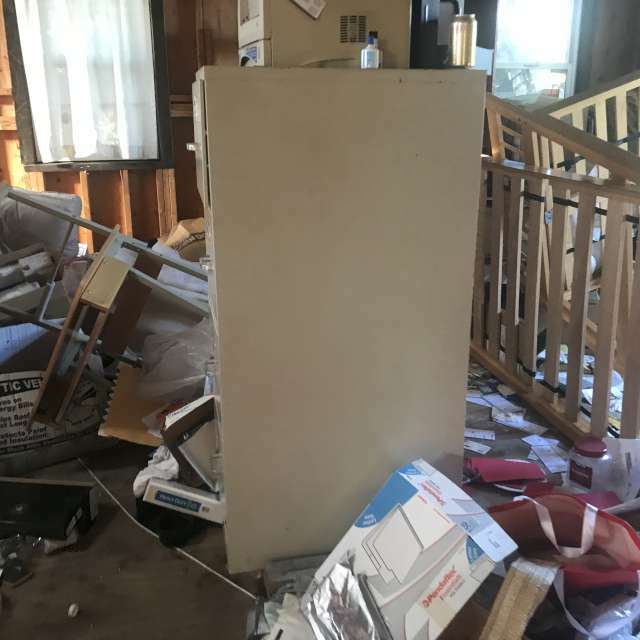 Foreclosed homes are some of the worst homes that we have found with trash and old junk. 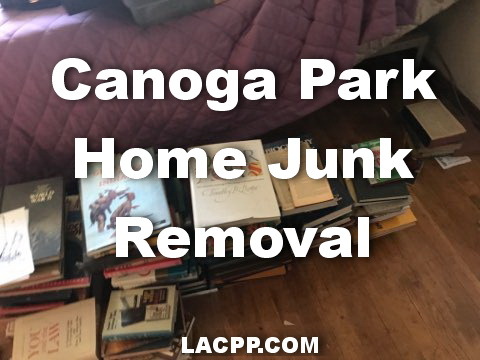 There are times where we had to clean out a fully furnished home in Canoga Park. 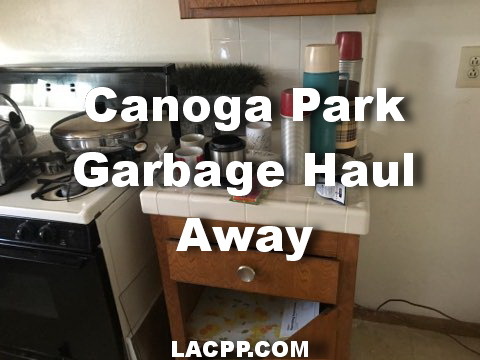 Canoga Park has many homes that are in serious need of a good clean out. There are far too many people that need to clean out their property due to yard debris or old construction debris. Whatever the cause is there is a need for a truck and trash disposal. 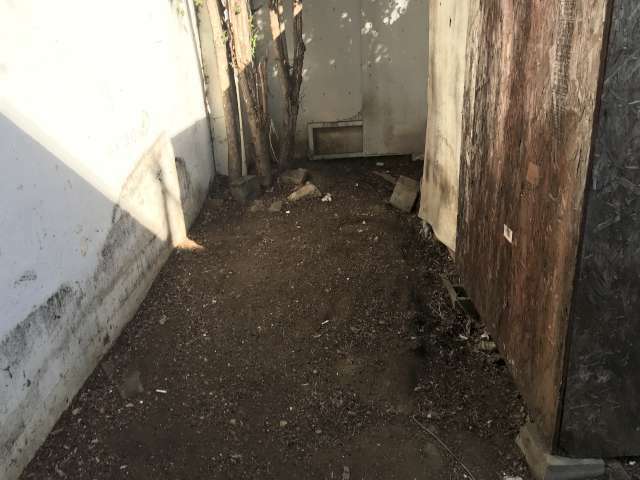 Los Angeles Property Preservation is your team for all of the garbage removal. 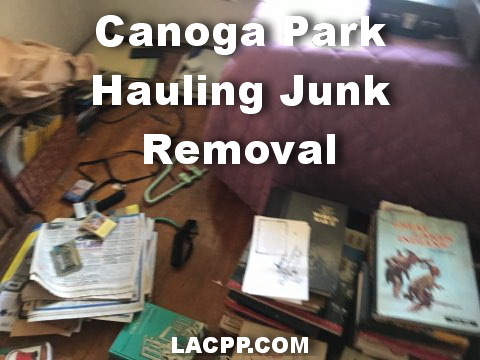 Our team has all of the tools and equipment to properly remove all unwanted junk. 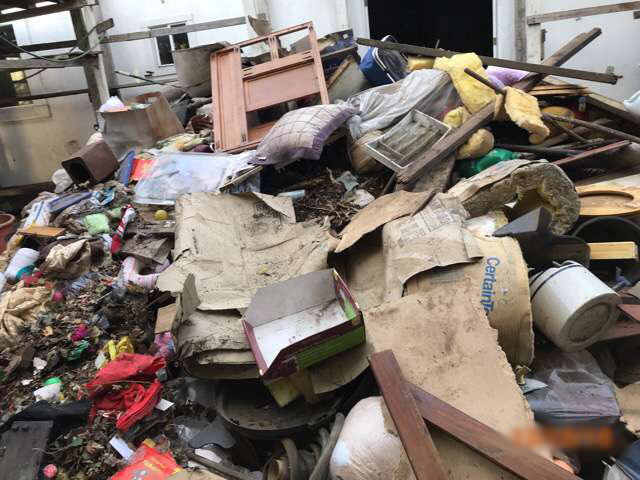 We also have the right dumpsite where we can dispose of the junk. 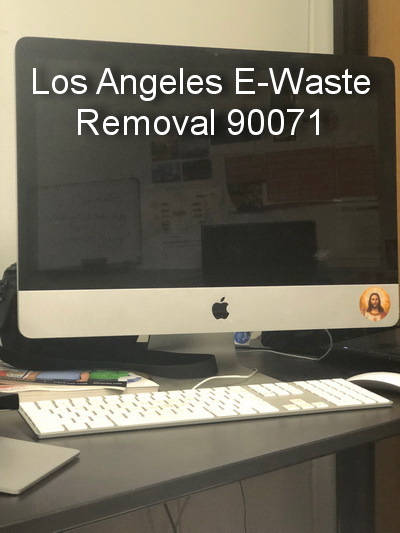 Remove all of the E waste today. 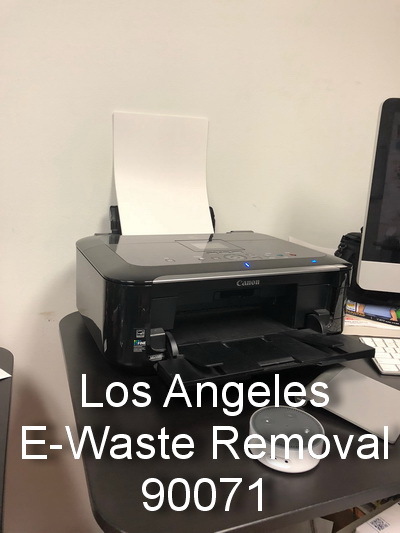 Are you located in Los Angeles CA and need a team that can remove all of your electronic waste? We have been in business for over 14 years and removing E-waste is not a big deal. It makes it much easier for customers to have a storage free of all Electronic waste. It makes it easier for us to just come right in and remove all of the unwanted electronic waste that is in the way. It is so much stress for any one person to get rid of E-waste. The fact that a person has to get rid of Electronics that can potentially work is such a hard task. It is hard to convince some that the electronic item is no good. That is why it is best to just leave it to our team at LACPP. What we end up doing is either disposing of it completely or recycle the E-waste. There are facilities that we partner up with that take on E-waste to recycle. What does electronic waste consist of? There are computers, printers, monitors, old hard drive, old televisions, old VCR and DVD players, and many more. There are so many electronics that have no more use in them. When the electronic does not have any use, that is when it becomes an electronic waste. Why is it important to get rid of old technology? Why is it good to do business with our team at Los Angeles Property Preservation? 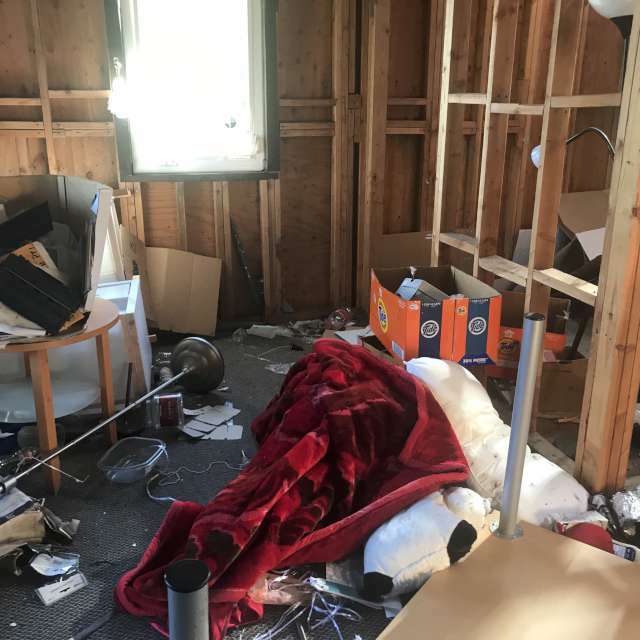 You should commit to cleaning out your property before it gets worse. 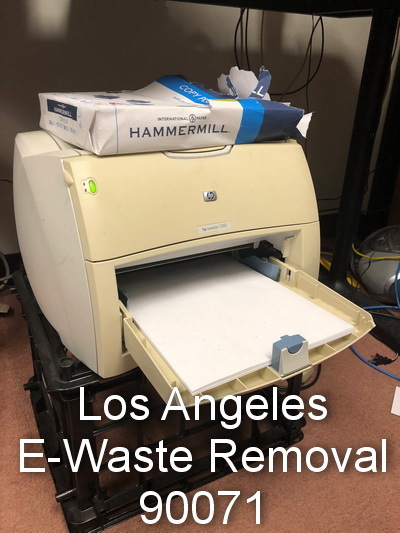 We have the right tools and trucks to get rid of all of your E-waste. Our staff is able to load up the dolly with all of the E-waste and properly move them out. We have tools that can help with all of your unwanted electronics. Don’t hang on to them anymore and all us to scoop it up.